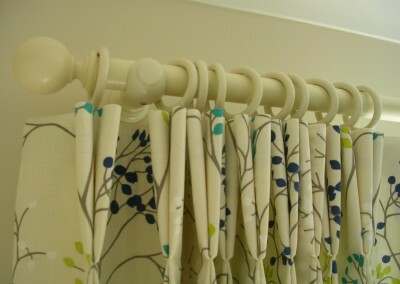 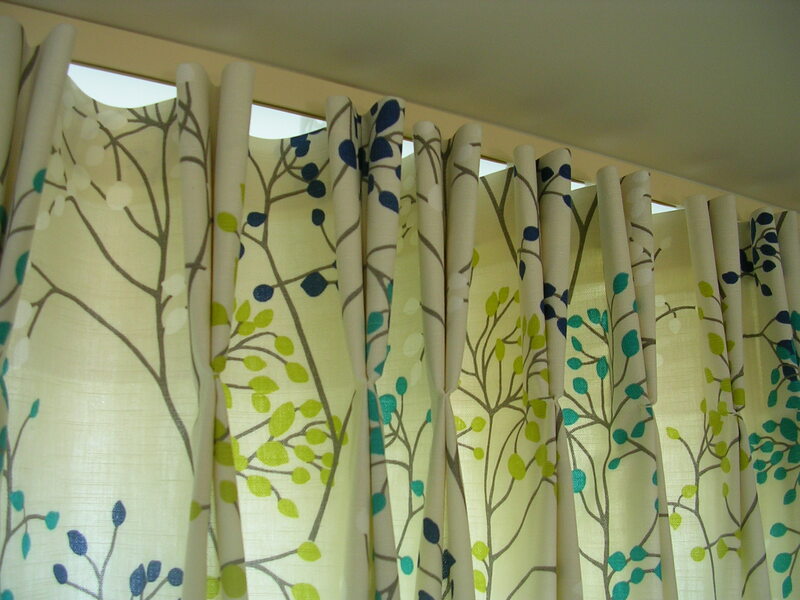 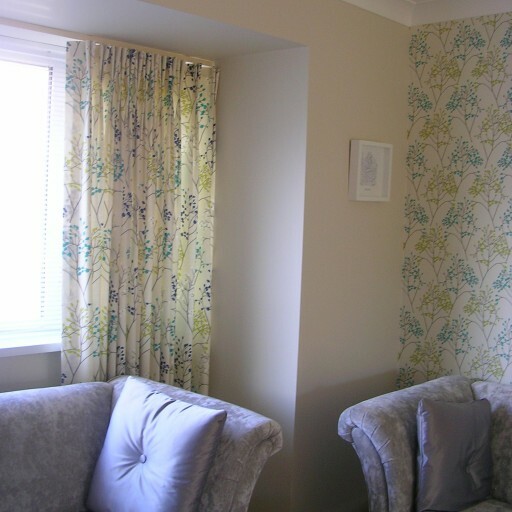 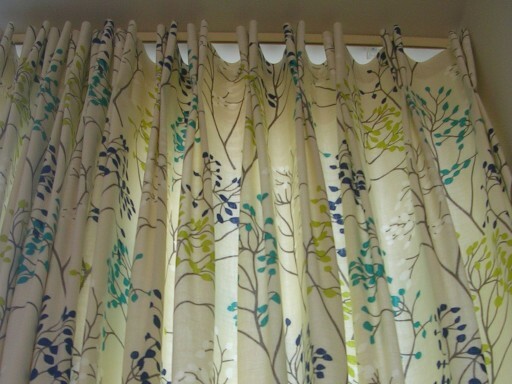 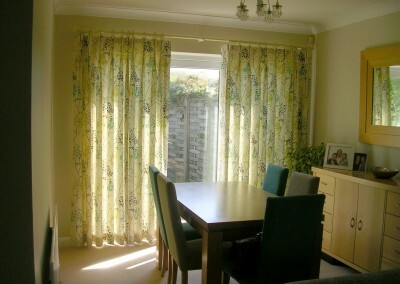 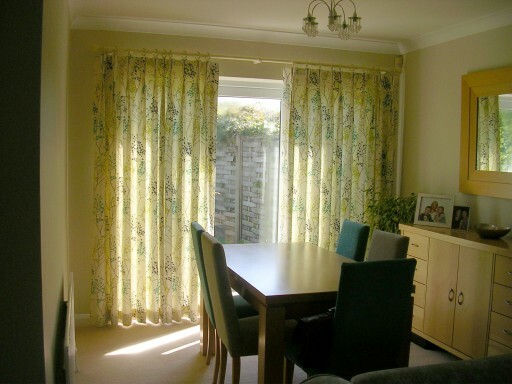 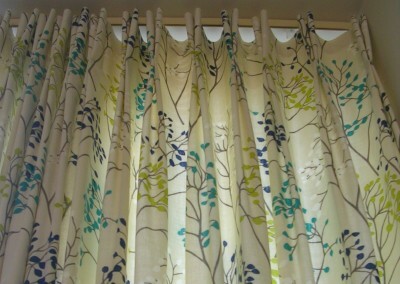 I made two pairs of curtains for the sitting/dining room which co-ordinated with wallpaper on several of the walls. 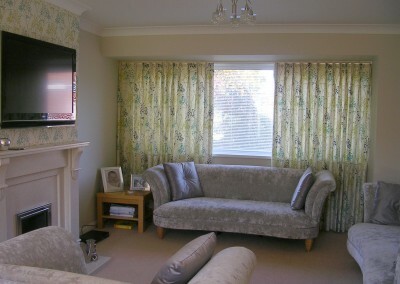 The sitting room curtains were hung from a discreet ceiling track and the dining room patio doors had a cream curtain pole with ball finials to co-ordinate with the wall paint and fabric background. 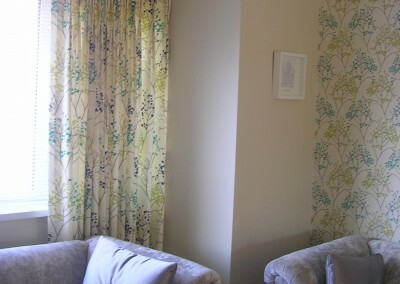 The fabric and wallpaper were a modern floral print and the curtains were sewn with a double pleat.